I don’t remember much of my life before age 5. Even if I did, it wouldn’t really change the fact that for almost all of my life the end of August has been attached, inexorably, to the advent of a new school year. With the exception of those pre-5 years, I had exactly one year, 2011, when the academic calendar was irrelevant to me. But now I’m employed as an education reporter for a daily newspaper, and while I may not have worried about what clothes I’d be wearing or whether I would see my friends, I was still keenly aware of the first day of school. My education began at Valley Elementary School, home of the Bulldogs. I never went to pre-school (fancy that) so my first experience with an organized classroom was Mrs. Day’s kindergarten class. I don’t remember much. In all honesty, I’m not entirely sure my teacher’s name was Mrs. Day. I remember learning about Bill Clinton in first grade. I remember getting in big trouble in second grade for attempting the Heimlich maneuver on a classmate who wasn’t choking. 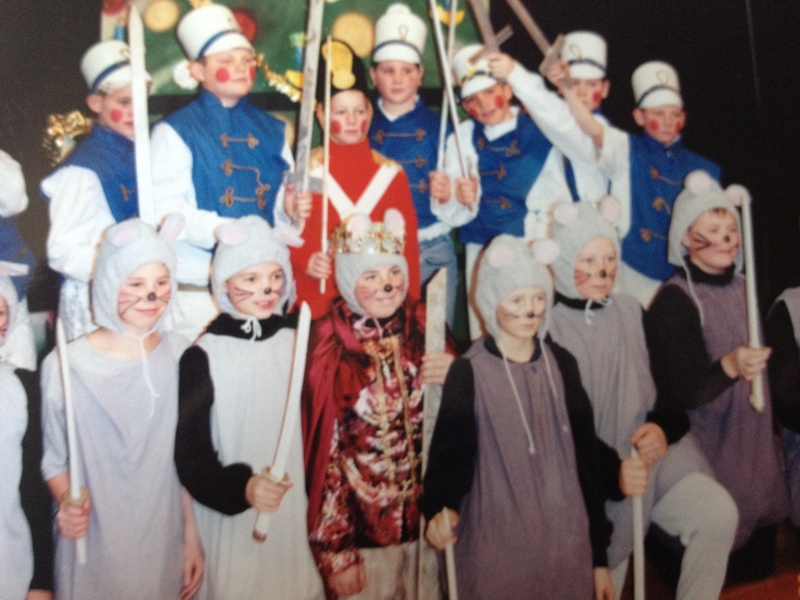 I played the Mouse King in a 3rd-grade production of The Nutckracker and blew the performance out of the water. One critic said my portrayal of the King’s rise to power and eventual fall captured, effortlessly, the duality of man and the fragile nature of life…I may be paraphrasing. I remember that even back then I wanted to be writer. I used to craft these pathetic short stories and submit them to a yearly Jr. Author’s Fair that Valley put on. If you wrote something for the fair, you got free pass to the Seventh Street Skating rink which, at that age, was pretty much the best motivator I could fathom. Remember skating rinks? Everyone would get their passes from the fair and the whole school, or so it seemed, would be there on the same night. Seventh Street had a doughnut and hole track and all the guys would hang out in the center ring and dare each other to go and skate with the girls. Few did, fewer still lived to tell the tale. 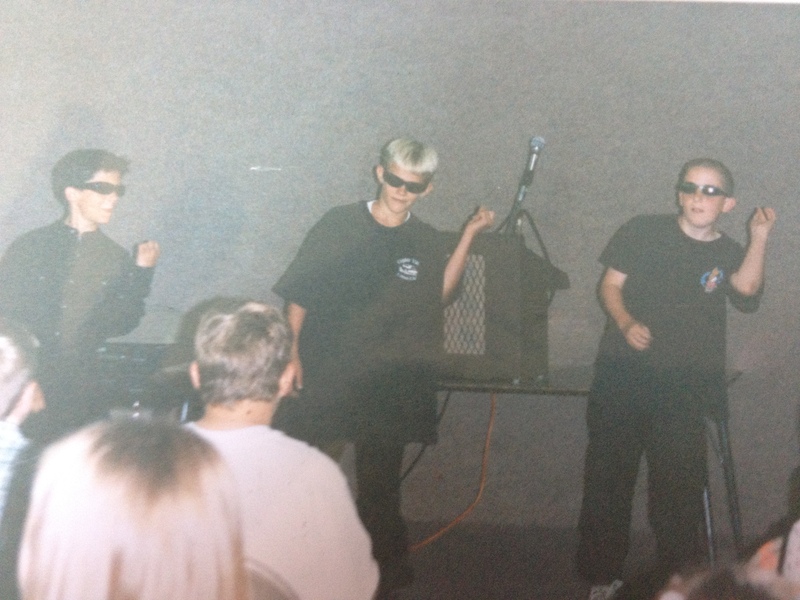 In fifth grade we had a talent show. My friends Blake, Trevor and I did the dance to the original Men In Black theme song (“Just bounce with me, Just bounce with me”). We’d practice at my house after school. After our performance, Blake had a second talent, singing “Truly, Madly, Deeply” with a couple of other guys. Even at 11 years old I thought that was kind of stupid. Sixth grade was my last year at valley. We terrorized our teacher, Mr. Hull. People are monsters, and children are just little people. Snowcrest, home of the Skyhawks (not an actual bird) is a small school. At the time there were around 350 students, or just more than 100 per grade. It was a great place to go to school. Valley was the only feeder elementary so we truly did know everyone and I remember it as one big party. Because of its size, Snowcrest didn’t have much in the form of elective courses. I’m not exaggerating when I say that every student had to choose between taking a music class or taking Spanish. I’ve never had any desire to learn Spanish and it had always been a dream of mine to play the saxophone (“There’s so many Buttons!”) so I signed up for band along with most of my friends. I only wore the hat once, but I always wore something (cue sarcastic, “duh”). Over time the tradition started for the saxophone line to all wear sunglasses to a performance (“So I can, So I can”). 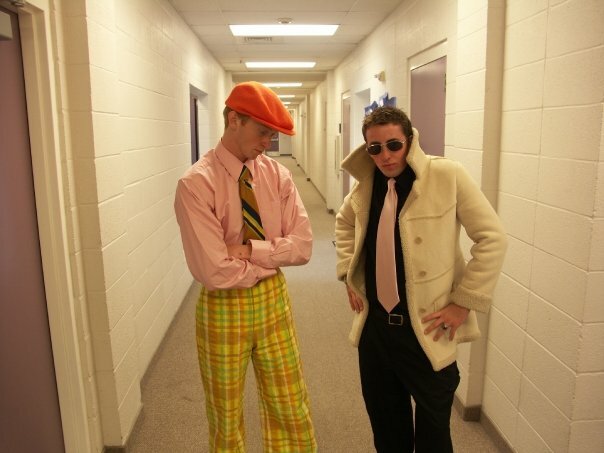 We thought we were really, really cool. 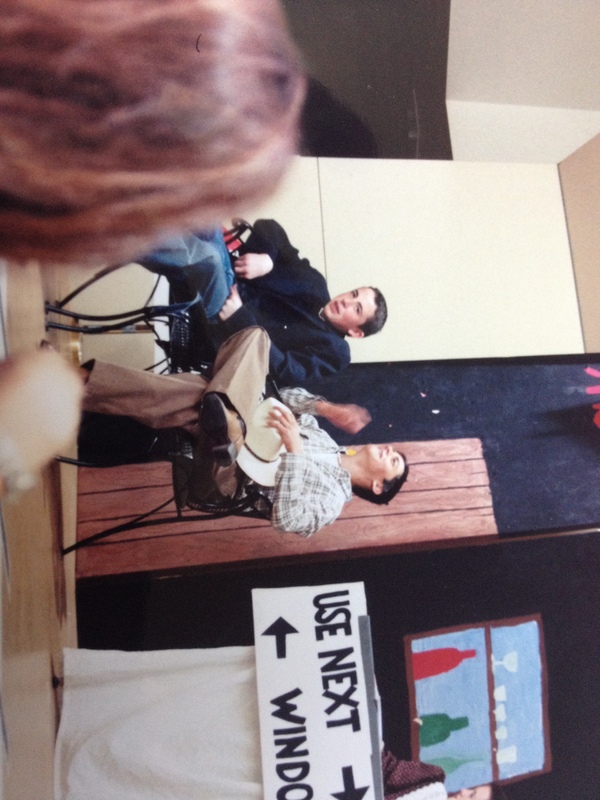 My other elective (ok, you got 2) was drama. 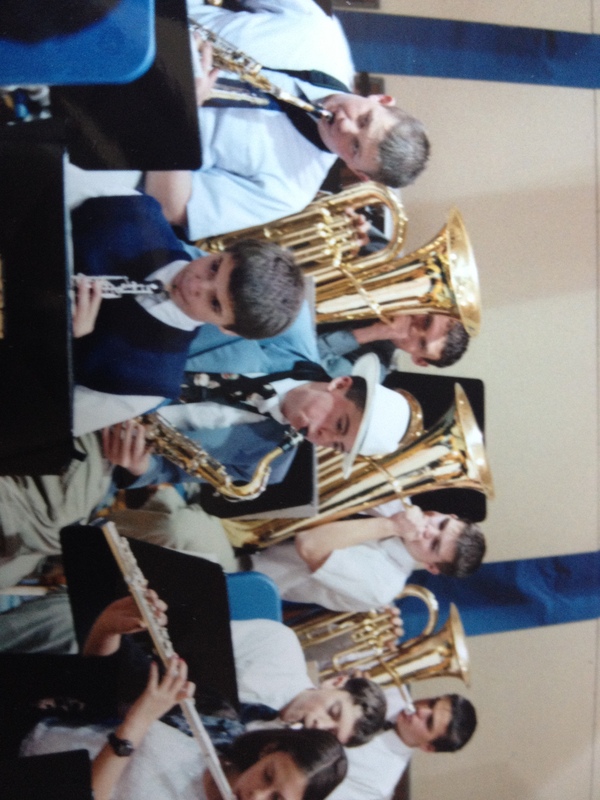 In Jr. High there was nothing wrong with being in Band and Drama. In high school I luckily learned that things were different before making a huge mistake. Every year we’d put on a melodrama. I was on track to be The Villain in 9th grade and Trevor was to be The Hero, but then Trevor dropped out to go to some alternative pseudo-homeschool and our drama teacher had some sort of stress attack and stopped putting on melodramas. Suddenly I had a hole in my extracurricular so I decided to run track. 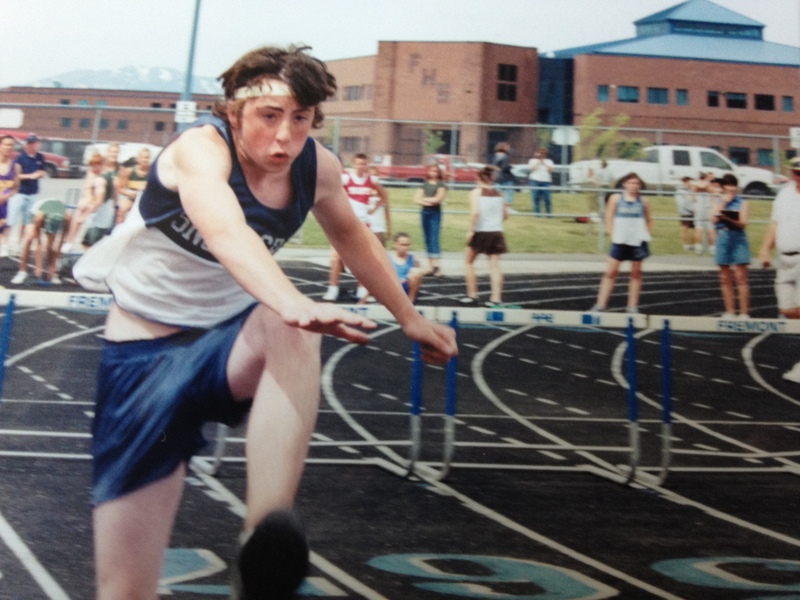 I did the 110-meter hurdles and threw disk. I wasn’t very good, but I had long hair and wore a headband and it was shortly after the Salt Lake City winter Olympics so people called me Apolo (as in, Anton Ohno). It’s the only nickname I’ve ever had. I loved it. 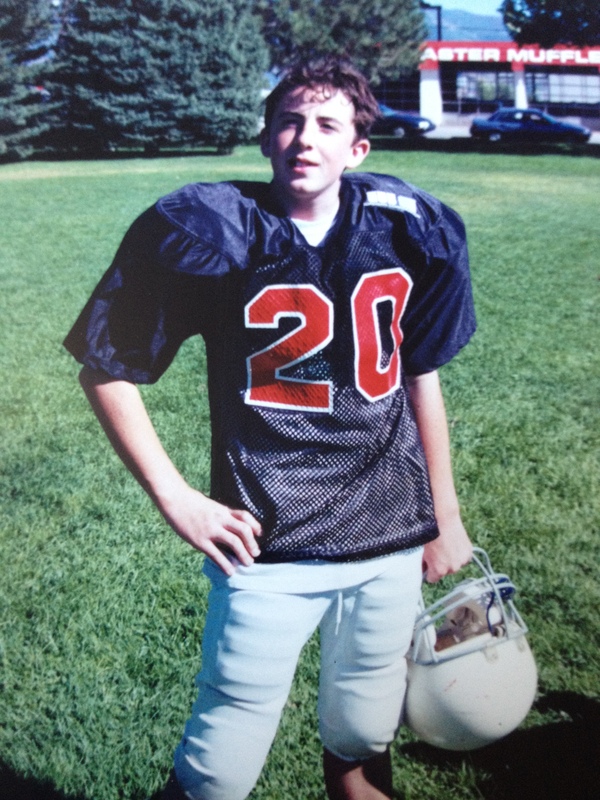 I played rec football since our school was too small to have a team. I was a defensive linemen. I wasn’t very good at that either, but I rocked at the saxophone. 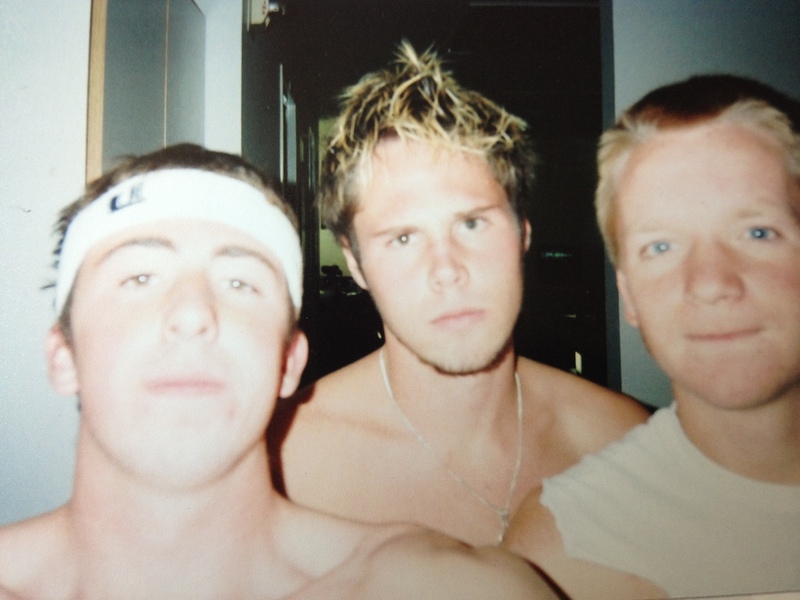 If you remember my last quarter century post, I started Jr. High with atrociously-awful parted-down-the-midle hair. Luckily around 8th or 9th grade I was able to start moving past that and emerge from my cocoon like a beautiful butterfly, or at least a not-as-creepy-gross-as-some moth. 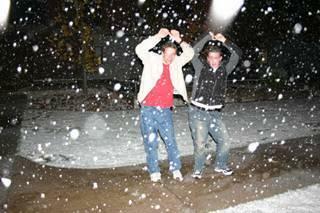 We had a tradition when we were kids. 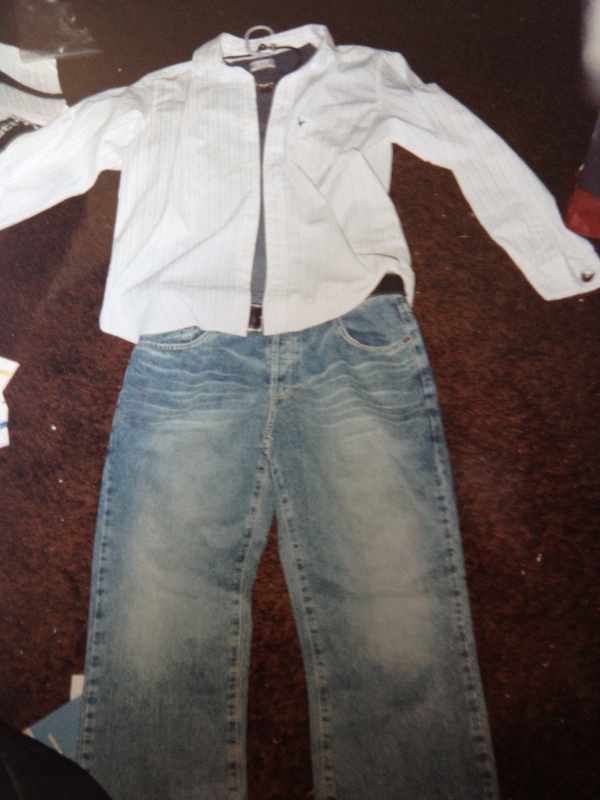 The night before the first day of school we would lay out our next day’s outfit on the floor from shirt to shoes in the shape of a person. I don’t remember when it started but I was little, the only picture I have of this weird practice is from my Sophomore year. I didn’t break the habit until college, when I decided that my roommate would probably think I was a lunatic. But I digress. Weber High School, home of the Warriors and nestled in picturesque North Ogden which, if you’ve never been there, is actually a terrible place. It’s a 5A High School, the largest classification in Utah public ed, so I went from knowing everyone in a 350-student school to a 1,600-student school where everyone seemed to know everyone except me. 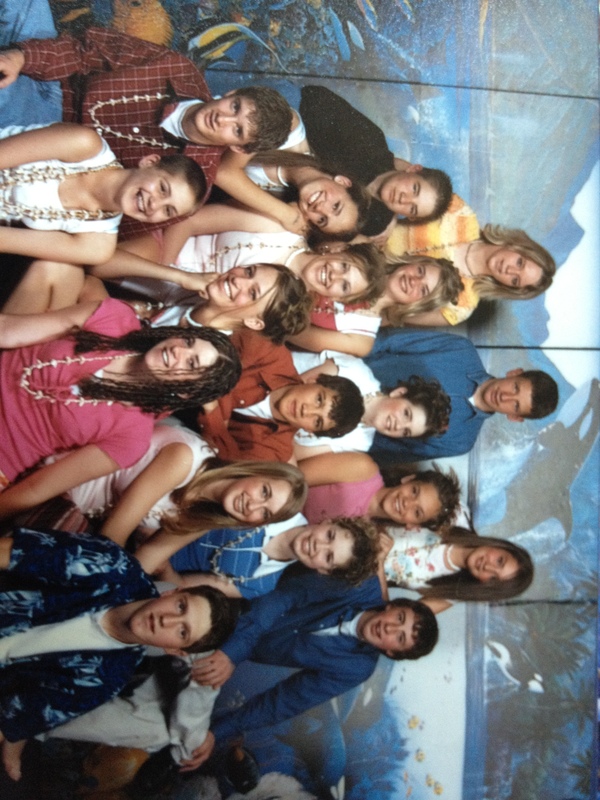 I drifted away (quickly) from band and drama and instead got into the student government scene. 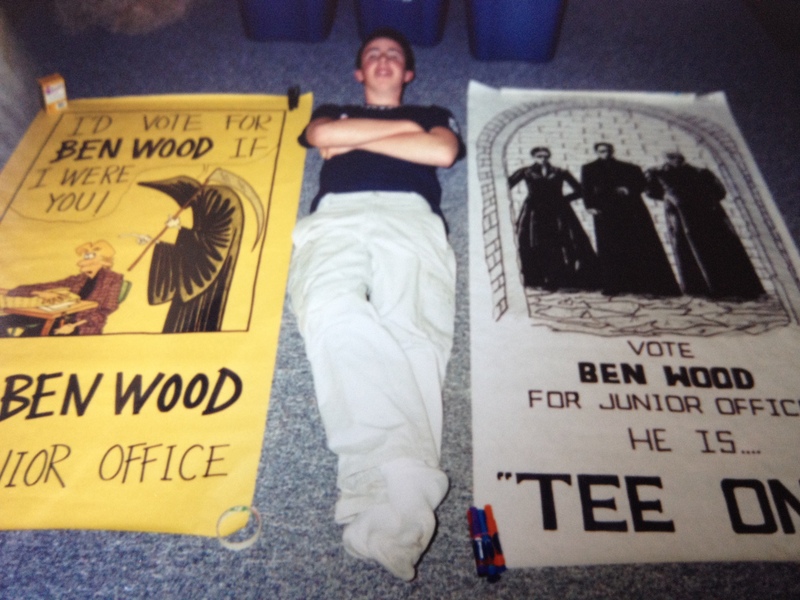 My junior year campaign was my best (and the one that I actually won) helped in no small part by my mom’s amazing ability to make awesome posters (note, we fixed the typo on the Matrix design). Student Government is a complete joke, but we had a good time. Luckily, I lost my senior year election so I’m under no obligation to plan a reunion. 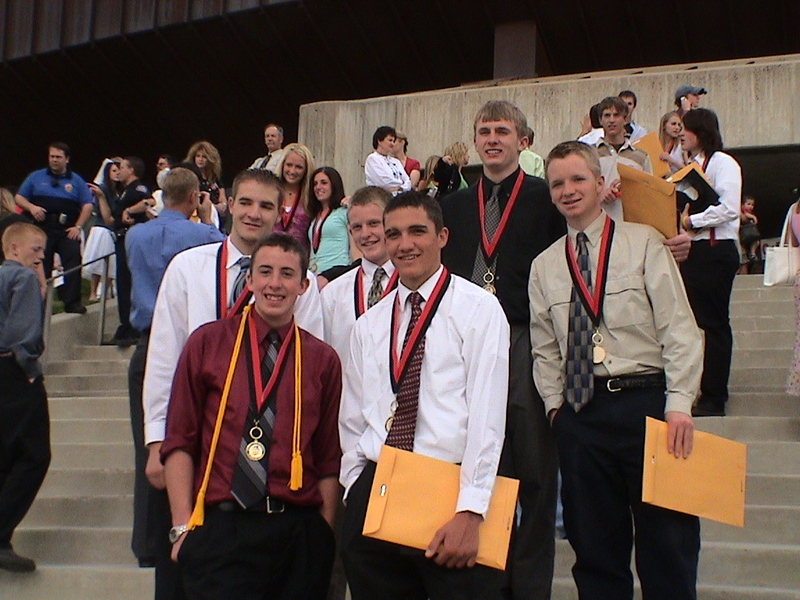 I ran track for two years at high school, but it became increasingly apparent that I was not going to grow taller than 5’10”, couldn’t compete with guys taller than me and was never very good to begin with. When I finally threw in the towel I put my extra-curricular focus into the Future Business Leaders of America which pretty much consisted of traveling to various competitions around the state and trashing hotel rooms. My big thing was Entrepreneurship and while I still wrote for the school paper (and a Teen Section in the local daily) I had forgotten about being a writer and instead thought of myself as some wunderkind who would create a business and make boatloads of money. Never mind that I had no idea what that business would be or what product I would sell; business classes don’t teach you HOW to make money, they just teach you that if you don’t make money you’re worthless. 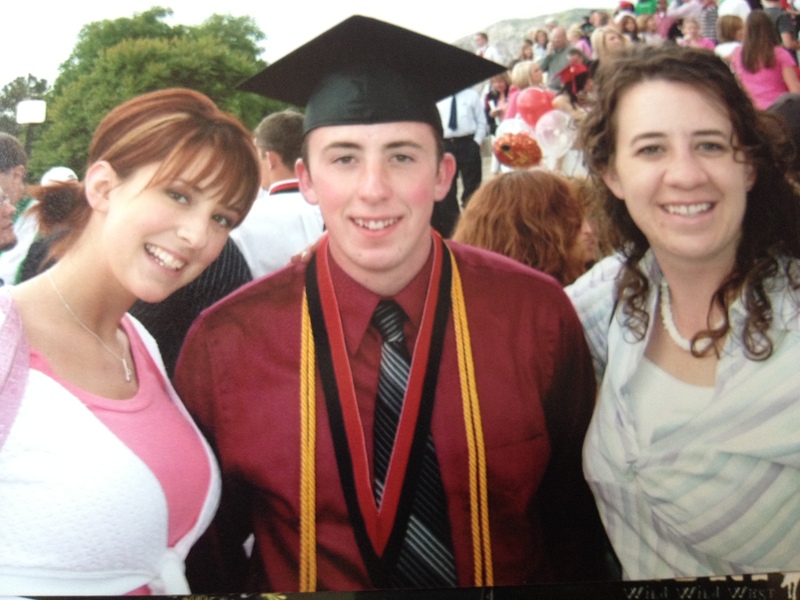 I graduated with honors, which besides meaning absolutely nothing when applying for colleges allowed me to wear a very fetching yellow rope around my neck. Totally worth the hours of AP homework and never having a girlfriend. And with that, we made the move to Logan for Utah State University, home of the Aggies. I lived in the dorms my first year, which is an experience I think everyone should go through because of how simultaneously awesome and awful it is. I made some classic freshman mistakes. I had a 7:30 class, I would actually get dressed in the morning, I ate nothing but pop tarts and Eggo waffles. We lived in the top floor of the Alva C. Snow hall, which we nicknamed Alva Heights and Greek-ified into Sigma Alpha Eta as an inside joke about how stupid fraternities are. We use to do this thing in the elevator where someone would yell “Go Ninja!” and you had to jump up onto the walls and keep your feet off the floor. We also had this running gag where we would stash bottles of rotten things in other dorms. We also invented the “Tool Dance” which consisted of holding your hands above your head and side-stepping past an open doorway. I lived with some friends from High School but after a few months adopted myself into an apartment down the hall. There were two Bens, two Daves and two Zachs so we implemented a numbering system to tell everyone apart in conversation. Dave 2 continues to be designated as such in my cell phone. I started out “undeclared” trying to decide between business and journalism. The conflict was a classic one, a choice between love and money. By my sophomore year my mind was made up, I registered as a JCOM major and kept a business minor so my credits wouldn’t go to waste. I hated my business minor, every class was an hour of self-congratulation for being better than the rest of campus and pontification about the free market and the spirit of enterprise. Never mind the fact that most of my classmates couldn’t name the Vice President and, as far as I could tell, had never read a book. Things were great on the journalism side. I got an in at the campus paper as an opinion columnist, which turned into news reporting, which turned into features editing and finally editor in chief. I had an office, a desk, a campus phone line and a key to the student center. I was a king, and it didn’t go to my head at all. My friends started getting married, having kids, having SECOND kids. At the same time the list of people who wanted me to graduate and go quietly into the night got bigger. 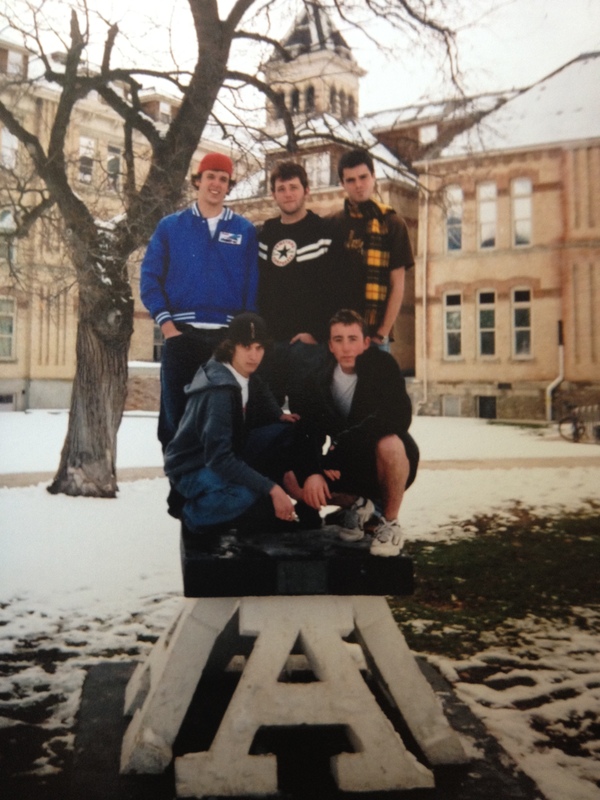 I loved Logan, I love Utah State, but when my four (six) years were up it was time, and I was ready, to go. LOVE that picture at the dance. 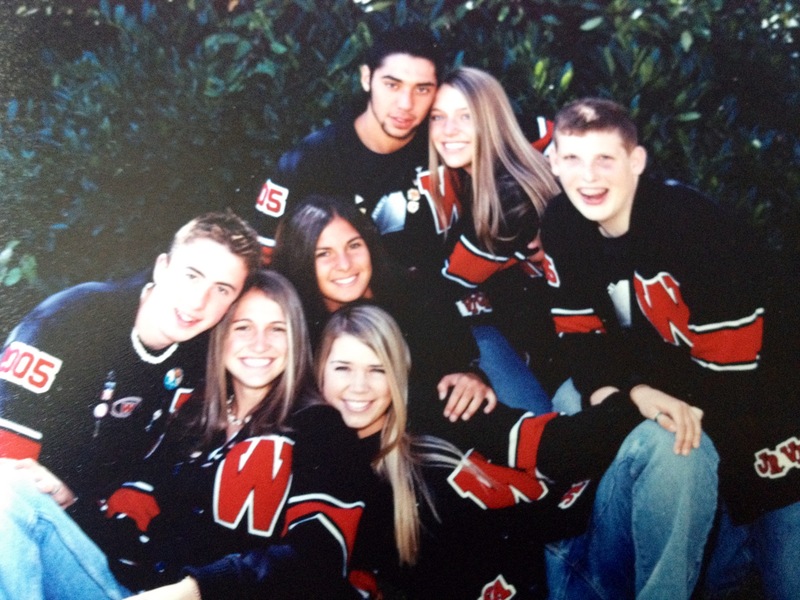 Michael looks super goofy (actually all you guys do… except is that Jason in the middle surrounded by all the girls? haha! ).